This year’s Tokyo Marathon winner Berhane Dibaba has been added to the Bank of America Chicago Marathon women’s race on Sunday 11 October, the organisers of the IAAF Gold Label Road Race announced on Monday (28). 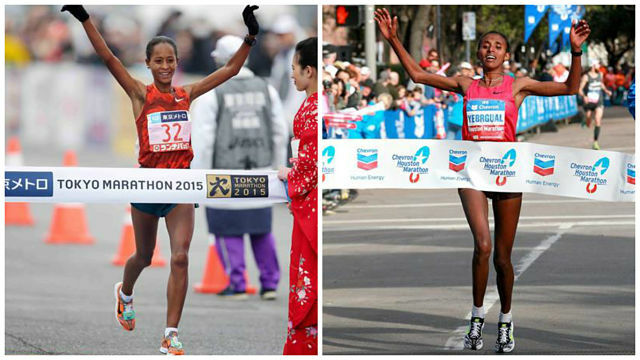 The Ethiopian won in the Japanese capital in 2:23:15 and can boast of a best of 2:22:30 when she finished second in the 2014 Tokyo Marathon. She will be the fifth fastest runner among the elite women in Chicago, although two of those who have gone quicker in their careers are veterans and US distance running greats Deena Kastor and Joan Samuelson. Also added is Dibaba’s compatriot Yebrqual Melese, who has won both of her marathons so far this year, setting a personal best of 2:23:23 when winning in Houston in January and then finishing just 26 seconds shy of that time when she won in Prague in May. Additions to the men’s field include the US runners Luke Puskedra, Brandon Mull, Mohammed Hrezi and Scott MacPherson. Unfortunately, former Chicago and London marathon winner Tsegaye Kebede will no longer be participating in this year’s Chicago race due to an injury.